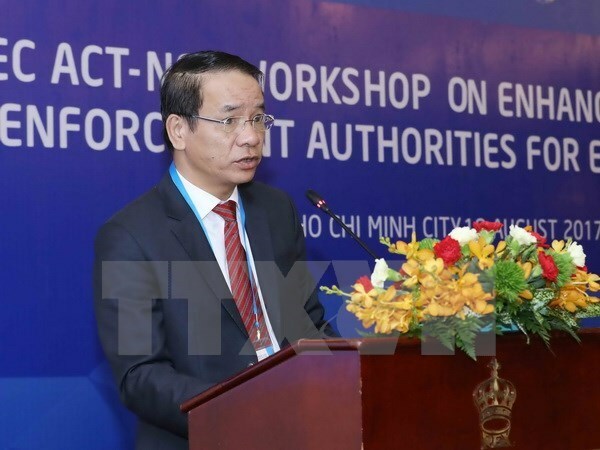 HCM City (VNA) – The APEC Anti-Corruption and Transparency Working Group (ACTWG) held a meeting with sponsors on August 21 on the framework of the ongoing third Senior Officials’ Meeting (SOM 3) in Ho Chi Minh City. The meeting aimed to explore the need for technical support for the corruption prevention and control of APEC member economies. Government Deputy Chief Inspector Nguyen Van Thanh said that after countries completed the assessment of their implementation of UN anti-corruption conventions, they have found a great need for technical assistance, which is one of the important factors to the realisation of the conventions. Vietnam expects that after the meeting, international sponsors will continue providing technical aids and consultations to APEC member economies in order to help them deal with existing problems and challenges and meet sponsors’ requirements, he said. According to Thanh, Vietnam demands technical support for the completion of institutions and policies on corruption prevention, the strengthening of anti-corruption agencies, and the raising of public awareness of corruption fight. Vietnam hopes for international support in researching, surveying and gathering information for the compilation of legal documents, he said, highlighting the need for exchanging specialists and organisingseminars, training courses and consultations inside and outside the country.